Renault, the car manufacturer, has grabbed the gold spot in UK cinemas for 'Fifty Shades of Grey', which launched today. The brand is one of the first to take the placement, which allows companies to place a one-minute ad directly before the main film, since it has become available to buy for specific films. Orange, and then EE, previously had an exclusive deal for the spot for 13 years until the end of 2014. 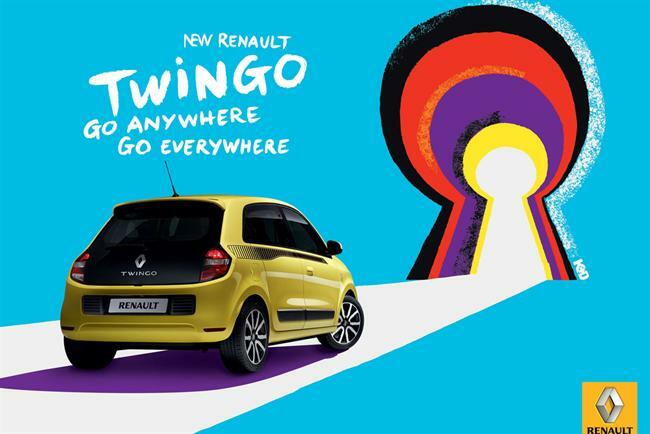 Renault will show an updated version of its ad "go anywhere go everywhere" by Publicis Conseil for Twingo, one of its cars. Ed Preston, the brand communications manager at Renault, said: "The flexibility to be able to book into cinema’s premium gold spot on a shorter campaign period is a big win for brands. "It offers the chance to reach a targeted audience on a specific basis and we’re excited to be one of the first advertisers to take up this opportunity by booking into what’s set to be the most talked about film of 2015, 50 Shades of Grey." Digital Cinema Media and Pearl & Dean, the cinema sales houses, will manage the gold spot which is now available for shorter campaigns. Karen Stacey, the chief executive at DCM, said: "Demand for cinema has never been greater, with our brand count at its highest ever level, having doubled in the last three years alone. "There is a remarkable film slate on offer in 2015 and opening up the Gold Spot in this way allows brands to build an unparalleled synergy with a film and establish a real affinity with cinema." Kathryn Jacob, the chief executive at Pearl & Dean, said: "Cinema advertising has moved on considerably since Orange bought into the first gold spot 13 years ago. "The medium is more flexible, diverse and dynamic than it has ever been and we are very excited to be able to reflect that in the way we work with advertisers to take best advantage of cinema’s most premium advertising position." Revlon has taken the silver spot in UK cinemas, in a campaign planned and bought by MediaCom. The make-up brand has launched a campaign for its lipstick called "love is on". The 30-second spot shows women wearing Revlon lipstick with different significant others. The campaign will also include demonstrations in cinema foyers. The ad was created by AR New York, and directed by Manuel Portillo through Magna Productions.